FRESH UP – Illuminate Your Skin The Gentle Method for more Freshness and Slower Ageing. Illuminate Your Skin The Gentle Method for more Freshness and Slower Ageing. This treatment is for all customers who want a bit more, for example a gentle complexion refresher, increased absorption for active ingredients or effective hydration of the ski – to mention but a few of the many possibilities. The ideal preventative measure to combat premature ageing and loss of elasticity in the skin, even when this is not yet visible. 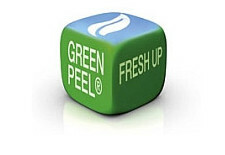 Fresh Up vitalizes the cells with renewed freshness. ENERGY – Stimulate Your Skin The Vitality and Regeneration kick for the Skin. It gives skin a surge of energy that is immediately noticeable. 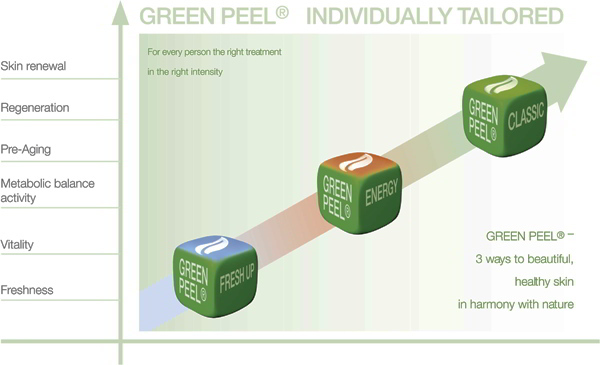 It is a well-directed intensive treatment for skin in need of regeneration. The activation of the blood circulation and metabolism result in natural skin improvements. CLASSIC - Renew your Skin. New Skin in only 5 days, the time-proven method. The Skin Peel with intensive effects. 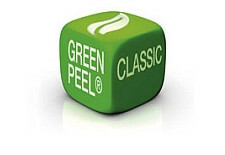 Green Peel Classic offers the solution for a number of skin problems in the face and on the body. e.g. large-pored, impure skin, skin in need of regeneration that is dull and has poor circulation or sun damaged skin and for loose, saggy skin on the body. However, not every skin problem can be successfully treated with only one or two treatments. Every skin problem and every skin type reacts differently. Depending on the individual treatment goal, the method can be repeated several times until the desired result is achieved.